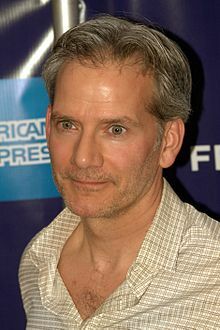 Campbell Scott (born July 19, 1961) is an American actor, director, producer, and voice artist. He is known for his roles as George Tunner on The Sheltering Sky, Boris Kuester von Jurgens-Ratenicz on Royal Pains, Mark Usher on House of Cards, Joseph Tobin on Damages, and Richard Parker in The Amazing Spider-Man and The Amazing Spider-Man 2, as well as numerous stage appearances. I hate to tell you this, but there's an entire subset of people out there who think of me as quite a dull actor. And that's the word used, and often - dull. Actors aren't all the same. They have very different skills. There are actors of intellect who are very thoughtful about everything they do... and then there are actors of instinct who don't know what they're doing until the cameras roll... My father was actually quite thoughtful about what he did, while my mother was much more instinctual. 'Breakfast at Tiffany's' isn't a great movie because Audrey Hepburn is brilliant and everyone else isn't. It's a great movie because everybody is fascinating, and she is at the center of it being amazing. Movies, I don't really get the bad guys. In theater, I get more bad guys. Both audiences and directors are more willing... to allow people to stretch. In movies, you do one thing, and then that's their reference. In the film world, and I know this from just talking to other people, that I'm known as a kind of dramatic, serious, almost humorless actor, and the fact is I'm a funny guy, and I spend most of my life trying to find a lighter side of things and on stage was given plenty of opportunity to do that. Details are the only thing that separates one movie from another. The whole fame question is one that is constantly intriguing to me. I think that fame is something that other people create about you. Whether you jump into that or not is up to you - and whether you have the talents for jumping into it or not. Television and cable have become the new independent films, in a sense, for writers and actors to gravitate towards. That's why I like short films, too; I love doing readings, audio books, working with young filmmakers; anything that keeps you from getting blase about yourself or in a rut. As you get older, I think everyone feels that, no matter what the job: to try a hand at running the business as opposed to simply being an employee. Since I was from the theater, that's how I learned how to go through the process of being a character. That's how I learned, and that's what I was comfortable doing. And then, the first feature films, I'm sure I was no fun because I did not want to be spontaneous in that filmic way that really can work for you. The nightmare of a film career, or at least the challenge of one, is that you're rarely going to get the opportunity to explore character because once people see you in one thing, you know, they want to see that again. I love that I'm rarely recognized. I like it because I know I can look different from film to film. After I directed, when I went back to being an actor, I was like, 'God, this is the life!' Because you only have to concentrate on one thing. To me, it's just like, if you have talent, and you're lucky enough to find where you fit, and you work with the right people, it's not exalted at all. Shakespeare is rich and beautiful, and it can be an amazing experience to read and to watch and to work on. I just got sick of not being able to raise money for a movie - that's what happens, so I just made my own. I always consider Shakespeare like a huge room. I mean, you open the door, and you can go anywhere.